It is my privilege to welcome you to the Department of Anesthesiology homepage at Montefiore Medical Center, the University Hospital of Albert Einstein College of Medicine. Our website has been designed to provide you with information about our department and its activities. Montefiore is ranked #15 in New York State and #14 in the New York metropolitan area out of 180 hospitals. The Children's Hospital at Montefiore is consistently recognized among the top hospitals nationally by U.S. News & World Report. 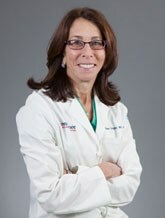 Our mission is to deliver state of the art, high quality perioperative, pain management and critical care anesthesiology to our patients; to provide education to our students, nurses, residents and fellows and to be recognized for our contributions in education, scholarship and research in the specialty of anesthesiology. The Department of Anesthesiology of the Albert Einstein College of Medicine was established 60 years ago with the opening of the medical school. 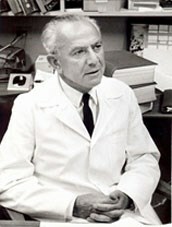 Dr. Louis Orkin served as the first Professor and Chair of Anesthesiology at the college, while Dr. Francis F. Foldes was the first Professor and Chair of Anesthesiology at the medical center in 1962; preceded by Dr. Edith Kepes who founded the Montefiore Anesthesiology program. During his tenure as Chair, Dr. Orkin established a safe and up-to-date medical service and an outstanding residency training program. At the college, distinguished faculty such as Dr. Gertie Marx made a lasting impact to the field of obstetric anesthesiology and national OB anesthesia practice. At Montefiore, Dr. Foldes established a world class laboratory and clinical research program that is thriving today through NIH funded grants and the Francis F. Foldes chair endowment. The Department has made significant contributions to this vibrant medical center ever since. Each year, our clinicians administer more than 40,000 anesthetics in our 45 operating suites and other anesthetizing locations. Our new Multidisciplinary Pain Management Center has approximately 13,000 patient encounters annually. Our critical care faculty participate in our unique system of ”ICUs Without Walls” across our three main campuses. We have 70 faculty, 58 residents and 40 CRNAs. All anesthesia subspecialties are represented including ambulatory, cardiac, critical care, obstetrics, pediatrics, neuroanesthesia, transplantation, acute pain and regional anesthesia and chronic pain management. We deliver care across four main clinical sites. Care for our most complex, high acuity patients is delivered in the Moses ORs where procedures such as pediatric congenital heart surgery, adult cardiac surgery, heart and liver transplantation, and neurosurgery. Our Wakefield site is our Orthopedic and Rehabilitation Institute where all major joint surgery is performed. Weiler Hospital sits on the campus of our medical school, Albert Einstein College of Medicine and serves as our cancer center and center for high risk obstetrics. Our new state of the art twelve room ambulatory surgery center, Hutch Metro, is a home for all ambulatory surgery cases as well as our new preoperative evaluation clinic. Our residency program includes a four year integrated categorical program. We are innovators in residency education and take great pride in our creative teaching program that employs diverse educational methodology resulting in outstanding resident achievement. We provide our residents with many opportunities to attend national meetings and present their scholarly work. We have ACGME approved fellowships in Cardiothoracic and Pediatric Anesthesiology and advanced subspecialty training in regional, neuroanesthesia and airway management is offered as well. Basic and clinical research are expanding rapidly in the present environment. New educational methods and theory, 3D echocardiography, neurotoxicology, innovative regional anesthesia techniques and exploration of pediatric pain management are only a few of the areas our faculty, fellows and residents are exploring. New York City is a wonderful place to learn and practice medicine. Our highly diverse patient population provides us with the opportunity to become skilled clinical anesthesiologists and educators while providing outstanding care to the population we serve. For general information on the Residency Program, please call 718-920-4383.